Although I can't cook this dish myself, I love eating it, especially sucking the little crawlies out of their shells. This is best cooked with coconut milk and jalapenos. 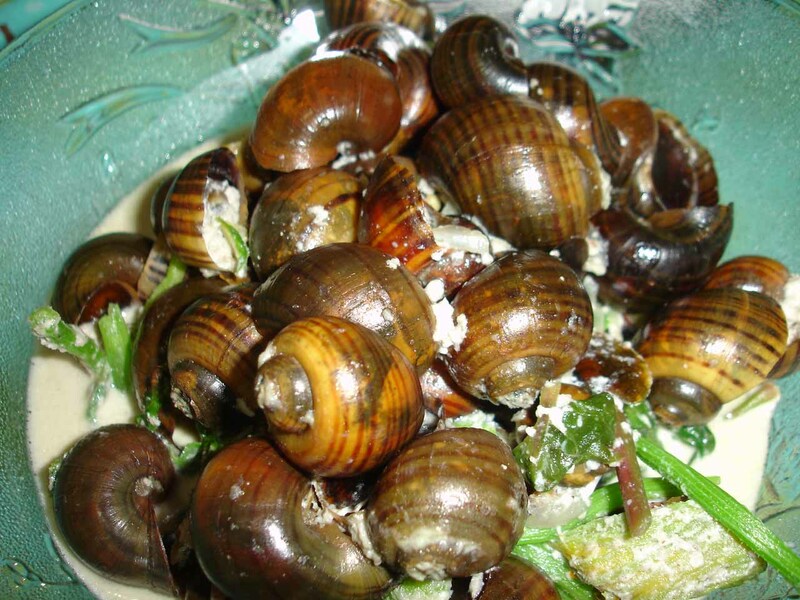 Also, escargot or kuhol is rich in iron so it's really healthy to eat it. Another dish made from snails is Adobong Kuhol.